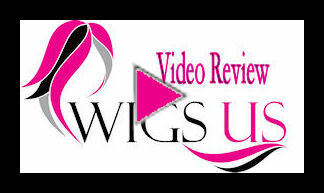 Calypso by Wig America – Stand out when you're wearing the Calypso hairstyle by Wig America. Long, 27 inch layers of colorful hair, come down around you. A unique look part of the Wonderful You Collection. If you want a new style that is sure to attract attention, this is it. Crafted from our highest quality synthetic fibers for the perfect comfort. You won't be disappointed after wearing the Calypso around on your head. An average size cap fits most head sizes just right.. You'll remain cool, and carefree throughout your long days wearing this look. With hair so long, feel free to add your own sense of style to it. Brush it for a fuller look. Bring it up into a ponytail. The decisions are always yours when you own the Calypso by Wig America. 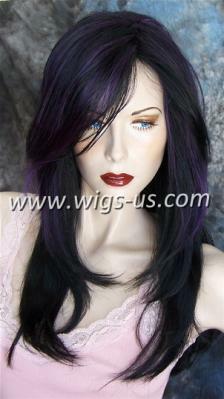 Available in a variety of beautiful colors, this wig will be sure to brighten your day. Very verry nice colors! I bought color black mix purple! Is very nice! Nice cutting, nice style! Very fashion! Fast ship! I wait exactly this wig with human hair and skin top! Thanks!